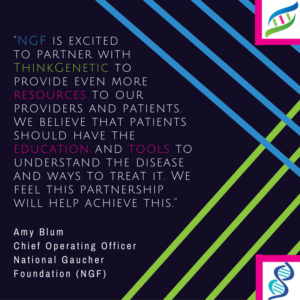 In a show of support, the National Gaucher Foundation (NGF) has entered into an advocacy partnership agreement with ThinkGenetic, Inc. The NGF is a prime example of how individuals can come together to seek change in the lives of those with genetic diseases. The NGF was involved in pioneering research targeted at correcting the enzyme deficiency that causes Gaucher disease. Thanks to efforts by hardworking scientists, the NIH, activist parents, and the NGF and others, enzyme replacement therapy (ERT) became available in the United States in the early 1990s. 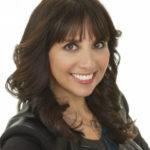 It is hard-working and driven organizations like these that excite the advocates at ThinkGenetic. 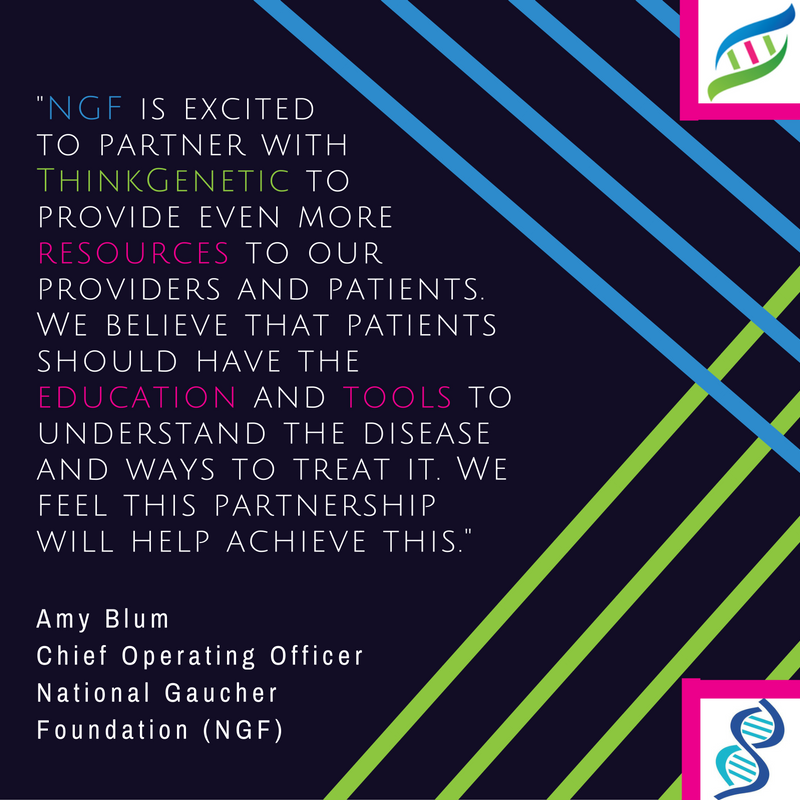 Working as advocacy partners, both NGF and ThinkGenetic hope to increase accessible, interactive information on the thinkgenetic.com site to help patients find physicians, treatment, financial assistance and information related to all aspects of Gaucher disease in alignment with the NGFs mission and goals. ThinkGenetic pursues agreements with strategic partners in order to share information, expertise, knowledge, and web content, and to promote greater awareness of available advocacy resources in the field of genetic health. In addition, advocacy organizations become eligible for charitable donations from ThinkGenetic based upon the allocation of ThinkPoints users designate from their use with the site.